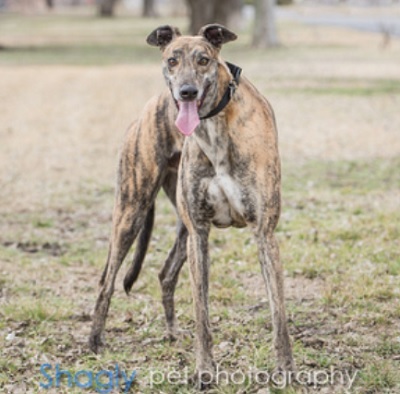 Hot Rod is a 3 year old brindle male born in 2015. He was part of the population from the blood bank facility located in Cherokee, TX that closed in November 2017. Hot Rod has been evaluated by GALT's veterinarians and has completed all of his medical procedures. It is not yet known if he is small animal or cat tolerant. Please check back periodically for updates on his journey to a forever home. 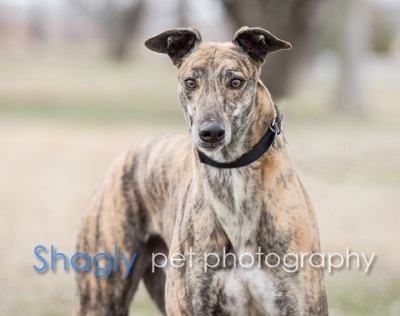 Hot Rod is a large, handsome brindle boy with a bottomless heart. He craves human attention and is truly eye catching, both in looks and personality. Hot Rod gets along well with the other dogs and walks well on leash.